At its peak, nearly a hundred motels lined Albuquerque’s stretch of Route 66, giving refuge to travelers on the "Mother Road." Today, Albuquerque is still welcoming visitors but now with a wider variety of options. Whether you’re looking for a vintage motor lodge, a swanky hotel, a farm stay or a homey bed-and-breakfast, I’ve found the options that best fit the needs of today’s families. KidTripster Tip: I’ve given rates for both high and low season. In Albuquerque, high season is April through October with really high season (yep, it’s a thing) being the nine days of the Albuquerque International Balloon Fiesta in October. Low season is generally November through March minus the holidays. Rates quoted are for a room that would accommodate a family of four. I’m not exaggerating when I say that a stay at Los Poblanos Inn & Organic Farm is alone worth the trip to Albuquerque, New Mexico. This historic inn was originally the home of Senator Albert Simms from New Mexico and his wife, Congresswoman Ruth Hanna McCormick from Illinois. In 1934, the adobe casita was transformed and enlarged by John Gaw Meem, New Mexico’s most influential architect and father of the Santa Fe style. Today this sprawling estate has a ballroom (used frequently for weddings), greenhouse, restaurant, farm store, and multiple lodgings - all surrounded by lush gardens and fields of lavender. Los Poblanos is a working lavender farm, so high season here coincides with the purple blooms in mid-June and the harvest in mid-July. The lavender oil is then distilled and used in a line of Los Poblanos products ranging from lotions to lip balms. KidTripster Tip: Los Poblanos offers a variety of classes, demonstrations, tours, and even lavender dining events celebrating lavender season each June and July. Older kids may enjoy spending time in the fields learning about the process. If you can’t visit then, still inquiry in the farm store about farm tours on Fridays and art and architecture tours on Saturdays. KidTripster Tip: If you rather skip the organized tour, ask for the self-guided tour and map when you check in. While you’ll find rooms in the historic inn, I’d actually recommend staying in the South or North Field rooms. They’re larger and beautifully decorated in cheery yellows and subtle grays. A room with two queen beds is equipped with a wet bar, mini refrigerator (where you’ll find water chilling for you), French press coffee maker, large closets, and fireplace. The bathrooms are spacious with both a walk-in shower and tub plus an assortment of Los Poblanos toiletries. When we arrived, we had fresh-cut flowers and a gift of lavender-scented spray, candle, and lip balm waiting for us. If you’re spending multiple days in Albuquerque and plan to do many of KidTripster’s recommended Plays, I’d recommend checking into Los Poblanos at the end of your trip for a day or two of pure relaxation. Families will appreciate the complimentary bikes (including kids’ bikes and bike trailers), lawn games, and bocce ball courts. And of course, you’ll want to spend time at the beautifully-landscaped saltwater pool. Also be on the lookout for the resident llamas, two peacocks, and several peahens that wander the property. KidTipster Tip: Just a short 1/4-mile ride from Los Poblanos, you can jump on the paved Paseo del Bosque Trail that hugs the Rio Grande River for 16 uninterrupted miles. But don’t get too ambitious. If you’re visiting in the summer, it gets pretty darn hot, and despite the fact that bosque means forest, you’ll find no shade while biking. Go in the early morning or evening. A complimentary continental breakfast of fresh fruit (love the figs! ), yogurt, and house-made granola is available in the property’s restaurant Campo, in addition to a made-to-order menu. And you’ll likely want to have dinner here, as well. Executive Chef Jonathan Perno is multi-year James Beard semifinalist for Best Chef in the Southwest, specializing in field-to-fork fare. KidTripster Tip: The farm store has a coffee and snack bar, as well. Rates during peak season run $230 to $250/night; during low season (November through February minus holidays) rates run about $205/night. Yes, it’s pricey, but it’s also a very special and memorable experience. It was both my and my teenaged son’s favorite stay. Honestly, Hotel Chaco in Albuquerque’s Old Town is one of the most impeccably designed hotels that I’ve ever seen. The idea was to pay homage to the ancient civilization that once occupied Chaco Canyon, a UNESCO World Heritage site & one of the most significant archaeological locations in North America. The architects and designers actually visited the ruins, which are a 3-hour drive from Albuquerque, to draw their inspiration. As you enter this hotel, you’ll truly feel transported. The hotel lobby is stunning - from the bronze sculpture entitled Oneness by Jemez Pueblo artist Joe Cajero to the signature staff uniforms from designer (and Project Runway contestant) Patricia Michaels of Taos Pueblo. (There are 19 distinctive pueblos, or Native American communities, in New Mexico; each has its own customs and traditions.) Walk over to the bar to see photos of Chaco Canyon, and you’ll immediately appreciate the hotel’s similarity in architecture. For being such an elegant hotel, Hotel Chaco is still comfortable and inviting for families. The rooms are modern and spacious with a wet bar stocked with complimentary bottled water and snacks. The bathroom with its walk-in shower and tub is huge and beautifully done. You also have your own deck with seating. The entire hotel is bathed a soothing, natural color palette of browns, grays, tans, and natural whites, similar to Native sheep. Throughout the hotel, you’ll find cozy seating areas - inside and out - for reading and playing board games with the family. I especially liked the garden area with its babbling fountain and fire pits. Of course, kids will make a beeline to the large pool, which is well used during Albuquerque’s hot summers. Even though it’s shared with neighboring Hotel Albuquerque, also a Heritage Hotel property, we didn’t find it to be overrun. The hotel also offers a fitness center and free WiFi. Rates start at $239/night plus a $30 resort fee; the hotel is pet-friendly. KidTripster Tip: Request a room overlooking the garden and pool. KidTripster Tip: Even if you choose not to eat at the hotel restaurant, Level 5, do visit its impressive deck for panoramic views of Albuquerque. KidTripster Tip: When you check in, you’ll receive a Local Treasures brochure that gives you a 15% discount at area attractions, restaurants, and merchants. Finally, if you’d like to visit the hotel’s namesake, the Chaco Culture National Historical Park, you can arrange a day tour with the hotel from March through November. Cost: $249/person. ; reservations recommended. However, if you’re traveling with kids, I’d recommend going on your own to afford you more flexibility. The hotel also arranges overnight glamping trips to Chaco Canyon. Wow! I absolutely love the transformation that’s occurred at El Vado. This Route 66 motel, originally opened 1937, was left abandoned for years. But after a complete restoration, the motel has reopened as the hippest, most happening place in town. The motel has its own taproom with indoor and outdoor seating. In the public courtyard with umbrella tables and chairs, small local restaurants have moved in to offer guests a ton of family-friendly, counter-service options. It’s like having a pod of food carts right outside your door: Bosque Burgers, Sandia Crust Pizza, Happy Chickenzz, Rollin’ On In (Mexican), Buena Provecho (Costa Rican) and Zendo Art Espresso. On any given night, you’ll find families having dinner here under twinkling lights with kids running in the water fountain to the sound of music, sometimes even live bands. It’s a very communal vibe. However, beyond the gate, the chatter and music fade away as you approach the swimming pool area and its bohemian loungers. The small pool is only about 3 feet deep, perfect for young children yet cool enough for your teens. The nearby common area is downright swanky, furnished with a mid-century modern flair. An art installation of old newspaper clippings and advertisements unearthed during the construction provides some historical context. The guest rooms - all named for vintage cars - are beautifully designed with incredible attention to detail. The artwork that hangs on the wall was made from the blue and green doors of the original motel and provides the color palette for the entire property. The original wood beams that once framed the carports remain. The succulents placed by the bathroom sink were purchased at the boutique next to the motel’s lobby. And the in-room growlers are available for parents to fill at the taproom. The motel has one room with two queen beds; however most of the other rooms have a king with a sleeper sofa to accommodate families, as well. Rates start at $149 during high season and drop to $140 in low season. And El Vado couldn’t be better located. The motel is right on Route 66 (which in Albuquerque is called Central Avenue) across from ABQ BioPark’s Botanic Garden and Aquarium. It’s also within walking distance to Old Town. It’s difficult to find a bed-and-breakfast that will accommodate families, but we’ve discovered a gem for younger kids in Albuquerque: Red Horse Vineyard Bed and Breakfast. And if you like innkeepers with a story, you’ll find one here. The place is run by daughter Darlene Capshaw and her 85-year-old father Carl Londene. First homesteaded in 1870, Carl bought the farm in 1968 to raise race horses. Since then, five generations of the Londene family have worked here. In the main house, you’ll find a gathering room with a large pool table and board games; the walls are covered with family memorabilia and Carl’s artwork. In the kitchen, Darlene cooks up a delicious breakfast, made from the eggs that your kids can collect and fruit that they can pick on this mini farm. Honestly, we’re still dreaming about the peach sauce that she made for the cream cheese-filled crêpes! The complimentary breakfast is served daily in the dining room or on the patio. Upstairs, you’ll find various rooms. My son and I stayed in a room for three, but it connects to another room with a queen-sized bed so that the whole suite could accommodate a larger family. The newly renovated bathroom had a mural of New Mexico’s Ghost Ranch, made famous by painter Georgia O’Keefe. Rates for the three-person room run about $129 during high season; they’re deeply discounted during low season. Outside, there’s a bunkhouse that operates more like an Airbnb, but you can add on breakfast, if you’d like. It accommodates eight people with a fully-equipped kitchen, four bedrooms, and one bathroom. Rates start at $150 during high season; it’s also discounted during low season. The bunkhouse is pet-friendly. KidTripster Tip: If you’re traveling with a family and need multiple rooms, let Darlene know, and she’ll give you a discount. KidTripster Tip: If you have any dietary restrictions, let Darlene know that too. She’s very accommodating. Your kids have the run of the property which includes an above-ground pool, hot tub, playhouse, small orchard, chicken house, and rabbit and pig pen. Grab the croquet set and play in the spacious yard or go on a scavenger hunt for all the hidden gnomes. Carl is anything but idle. This former CPA now makes wine (which is very good!) from grapes on the property; if you come at the right time of year, you can help him bottle (and sample) it. He also pours the molds for the ceramics that the family sells in a little shop in the house. KidTripster Tip: If you’re a super private family, a bed-and-breakfast stay is probably not right for you. Part of the experience is interacting with your hosts. Finally, you’ll see several red horse figurines around the property. They’re a nod to the family’s Swedish heritage and the property’s namesake. A Heritage Hotels and Resorts property, Hotel Albuquerque is located in the heart of Old Town, right next to sister property Hotel Chaco. In fact, the two hotels share the same gorgeous pool and hot tub. The grounds surrounding the hotel are beautifully landscaped with lush trellises and hanging outdoor chandeliers, often the setting for wedding photos. In fact, the hotel has its own stand-alone chapel! Rooms are equipped with Keurig coffee makers and mini refrigerators. Your stay includes free WiFi and parking. Rates during high season run around $199/night; during low season, they drop to $139. KidTripster Tip: If you have a larger family and require more than one room, call the hotel staff directly to let them know. They’ll honor a 15% off discount. Even if you don’t stay at Hotel Albuquerque, plan to bring your older kids to Tablao Flamenco Albuquerque for an authentic flamenco performance. Albuquerque is home to the National Institute of Flamenco, so the city sees many guest performers. Shows run Thursday through Sunday; the Sunday performance starts at 5:30 p.m., making it especially family-friendly. Plan to order an array of tapas prepared by Chef Gilbert Aragon who toured the flamenco tablaos of Spain to bring back that authentic flavor and experience. KidTripster Tip: Big changes are coming to the Sawmill District directly across the street from Hotel Albuquerque and Hotel Chaco. In addition to loft-style housing and shopping, developers are building a new 25,000-square-foot food court to showcase local cuisine. Just a 10-minute walk from Old Town, you’ll find the Best Western Plus Rio Grande Inn. The hotel has a fun, Southwestern décor that compliments the surrounding area. Your kids will love the outdoor pool during the summer; in the winter, the pool is domed for continued use. If you didn’t want to rent a car, the hotel will pick you up at the airport and then shuttle you to attractions within a 5-mile radius including the ABQ BioPark. Your stay includes free WiFi and free parking; a complimentary, cooked-to-order breakfast is included for Reward Members only. The hotel is pet-friendly for dogs up to 80 pounds. In fact, the hotel is building a new dog run. KidTripster Tip: Plan on being on the road for some time? The hotel has a coin-operated laundry for guest use. The biggest draw to staying at the Wyndham Albuquerque Hotel is actually what’s next door - ABQ Surf N’ Slide, New Mexico’s only indoor water park. It’s a fairly small water park (smaller than a Great Wolf Lodge water park) but still fun for young kids. It has water slides, wading pools, and a lazy river. It also has one feature that will especially appeal to teens, the FlowRider which simulates surfing. Admission is not included in your hotel stay. Cost: One session $20/person; Two sessions (morning and evening) $20/person; Dry pass $10/person. It has limited hours and only operates Friday through Sunday, so call ahead. The Wyndham itself has an indoor pool, hot tub, and fitness center. Your stay includes a free continental breakfast, WiFi, and parking. The hotel is also pet-friendly with an additional fee of $25 per stay. The hotel does offer a free shuttle service to and from the airport, as well other local destinations. Rates start at $119/night. I wouldn’t typically recommend an airport hotel because I find it to be too isolating; however, in Albuquerque, nearly every place your family will want to visit is no more than a 20-minute drive. 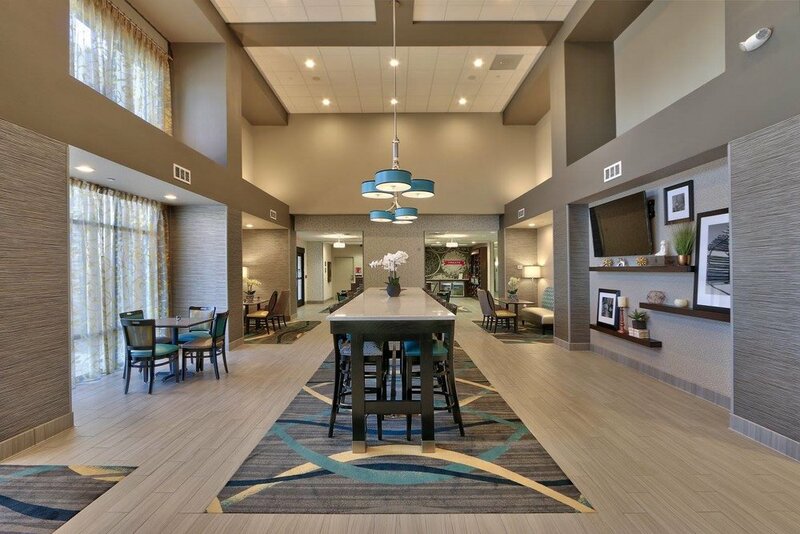 The Hampton Inn & Suites Albuquerque Airport gets high marks for being convenient, clean, and affordable. Plus, it has an indoor pool for the kids, fitness center for adults, and a coin-operated laundry, just in case. Your stay includes free WiFi, free parking, and very satisfying, complimentary breakfast. Rates start at $129/night during high season; in low season, expect rates around $109/night. Sheraton Albuquerque Airport Hotel is located just minutes from the terminal. The hotel sports a large, seasonal pool that’s open from the end of March to the middle of October. Kids can ask for soccer balls to use on the grassy area adjacent to the hotel. In the lobby, they’ll also find chess and checkers to keep themselves entertained. The hotel offers an free shuttle to the airport and to attractions within a 3-mile radius. If you plan to catch any sporting events while in town - like an Isotopes Minor League baseball game - you’ll be conveniently located to sports venues; the hotel has a partnership with the Isotopes and often offers packages. Rates during high season start at $139/night and drop to $109/night during low season. KidTripster Tip: This hotel has a Sheraton Club for members who pay the $30 access fee; it includes complimentary breakfast, Starbucks coffee, snacks, evening hors d'oeuvres, and WiFi. If you happen to be visiting during Balloon Fiesta, there’s a pretty killer view from the 15th floor. There’s no club fee for SPG Platinum Members. 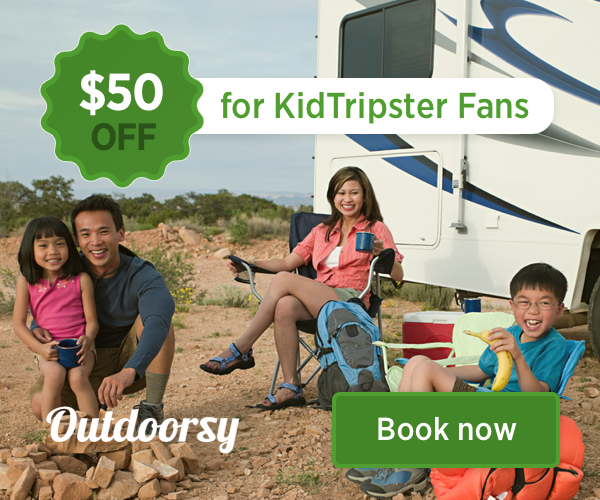 KidTripster Tip: Something not to like? WiFi at $5.95/night. I’m of the opinion that no hotel should charge for WiFi access. There’s also a $5/day parking fee, unless you’ve reserved under a package deal. Operated by the Pueblo Sandia, Sandia Resort and Casino is located on the outskirts of Albuquerque, but again, everything is this city is within an easy 20-minute drive. Staying at a casino property may not appeal to every family, but this one definitely has some family-friendly amenities. The outdoor, seasonal pool and cabana area is top-notch; you’ll find families gathered here all day. There’s also a fully-equipped fitness center. If golf is your game, plan to play the 7,755-yard, 18-hole course which is set amongst the foothills of the Sandia Mountains. Or mom and dad may want to slip away to the Green Reed Spa which offers a full menu of treatments. The hotel has free parking, free WiFi, and plenty of dining options. KidTripster Tip: Sandia also is home to a 4000-seat, outdoor amphitheater that hosts big name talent. Your stay may coincide with a concert that interests your family. KidTripster Tip: This property is just minutes from Sandia Peak Tramway which is a perfect place to take in a legendary New Mexican sunset. For KidTripster’s Top 10 Plays in Albuquerque, click here. For KidTripster’s Top 10 Eats in Albuquerque, click here. Editor Shellie Bailey-Shah loved her first trip to New Mexico so much that she’s already started planning another! This writer received some complimentary stays for the purpose of this review. However, all opinions expressed are solely her own.